Summer is almost over. Before the school year starts, you and your theater and art buddies are ready to hit the road for an amazing vacation. Instead of meandering from state to state, plan your trip to include as many cultural activities as possible. Fortunately, the East Coast is home to tons of artistic and theatrical touchstones. 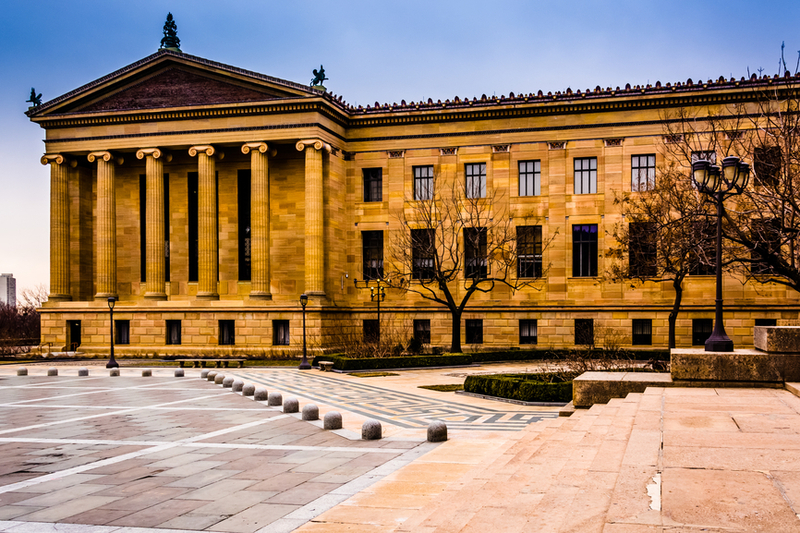 No trip to the City of Brotherly Love is complete without a visit to the Philadelphia Museum of Art. As one of the largest museums in the country, it is home to hundreds of paintings, architecture, sculptures and more from North and South America, Europe and Asia. Spend a day admiring the amazing Impressionist and Post-Impressionist paintings by Van Gogh, Cezanne and Monet and famous works by Frido Kahlo, El Greco and Salvador Dali that are on display at the museum. The building itself is a work of art, too. The neoclassical building is modeled after the Victoria and Albert Museum in London. The museum is located at the west end of Philadelphia’s Fairmount Park. You and your friends can either explore the museum on your own or arrange for a guided or walk-through tour. Exterior of the Museum of Art in Philadelphia, Pennsylvania. Located in the Boston suburb of Worcester, the Hanover Theatre for the Performing Arts offers something for everyone. The theater, which seats 2,300 people, hosts national-touring companies performing Broadway shows, nationally-famous entertainers and community theater groups. To satisfy both the theater and art fans in your group, the Franklin Square Salon Gallery, which features a variety of art exhibits, is located on the second floor of the theater. This summer’s performances include the 10th Anniversary World Tour of Celtic Woman, Morrissey and the 2015 Miss Massachusetts Pageant. An East Coast adventure is not complete without spending some time in the Big Apple. After exploring in Pennsylvania and Massachusetts, head to New York City for at least one Broadway show. For example, if you have wanted to see “The Book of Mormon” ever since your theater professor told you how funny it is, now is your chance to do just that. If you have time for more than one show, there are no shortage of entertaining productions on the Great White Way, including classics like “Fiddler on the Roof,” “Aladdin” and “Jersey Boys.” Whether you prefer something dramatic or a more avant-garde production, New York City theater offers something for everyone. The “Met,” as it’s known, is to the Big Apple what the Louvre is to Paris. The museum’s collection of European art rivals anything you will find overseas and includes everything from the ancient Romans to Renoir. The Met is also home to plenty of American classics, as well as pieces from Egypt, Africa and the Middle East. The museum features hundreds of events and programs every month, including lectures, tours and performances. About the author: Alison has been a freelance writer for the past 15 years. She enjoys writing about a wide variety of topics, and always looks for opportunities to learn about new subjects.